For many in the West, Indian food has become synonymous with a delicious but slightly guilty past time. Picture a cheese naan dunked unceremoniously into a cream-laden butter chicken usually enjoyed lounging on the couch in one’s pyjamas on a Sunday. The most authentic thing about the aforementioned take-out session could be the attire, pyjamas being a derivative of the Hindi word for pants. That said we opted for something a bit dressier for our evening at Restaurant Bhoomi, which without a doubt, blew all our preconceptions out of the water. With a menu filled with unique and delicate creations from across the Indian subcontinent, it is a dining experience sure to delight and surprise. Bhoomi is the latest offering from Indrani Matta whose first restaurant Spice Room in Circular Quay already graces the list of top Indian eateries in Sydney. It was love at first sight for Matta when she stepped into the space at 134 Glebe Point Road “the carved sandstone walls feel as if you’re inside a cave, it reminded me of mother earth and I wanted to celebrate that” hence the concept for Bhoomi or ‘earth’ in Hindi was born. On the menu you’ll find old favourites like Korma and Palak Paneer but given a Bhoomi twist. 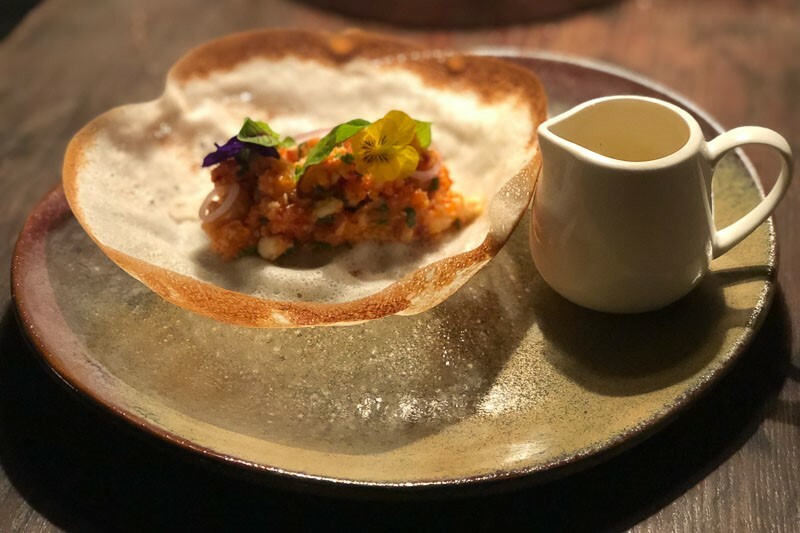 The hot starters features Sri Lankan Kakuluwo Hoppers, a bowl-shaped of crispy rice flour filled with crabmeat and topped with curry sauce and sambal ($19). The Dal Chawal Arancini is made from spiced lentils, risotto rice, double cheese, served with pickled mayo and pappadum crunch ($13). There are gluten and dairy free options and even a selection of vegan dishes including a Sri Lankan Coconut Pumpkin Curry ($18) and a Mushroom Masala ($16). 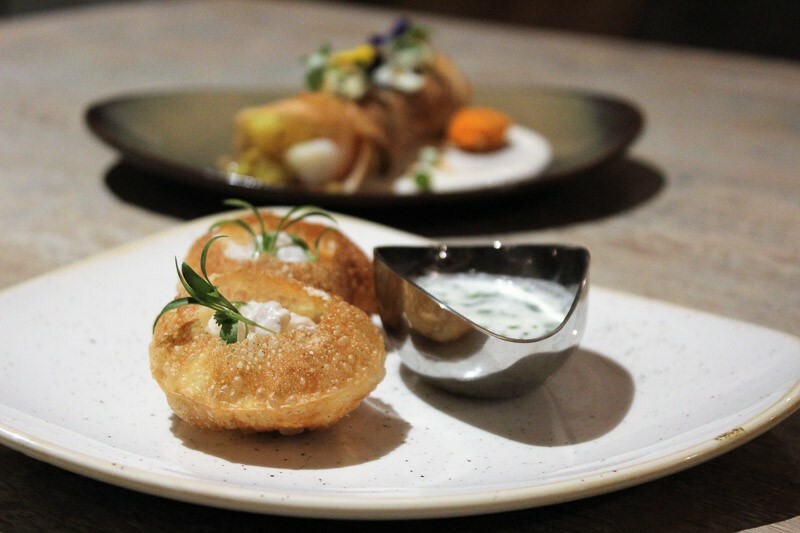 If the exotic table menu proves too much to navigate then sit back and order the ‘Taste of Bhoomi’, a selection of seven dishes including our standouts the Kingfish Ceviche Pani Puri and the Lamb Vindaloo Mini Masala Dosa. If you’re no stranger to spice then refresh your palate between courses with a Tamarind Rasam Shot. A fiery concoction designed to aid digestion, just make sure you sip this one as it packs a punch. We couldn’t depart from the tasting menu without paying homage to the bread! Consisting of a basket of light paratha that you can pull apart in buttery layers and is delicious even by itself. The bar boasts an extensive range of beers, wine and sipping liquors but if you’re feeling more adventurous try one of the Bhoomi signature cocktails made with ingredients from your typical Indian pantry. Our pick was the Spiked Chai made with masala chai, cream, rum and Cointreau ($22). 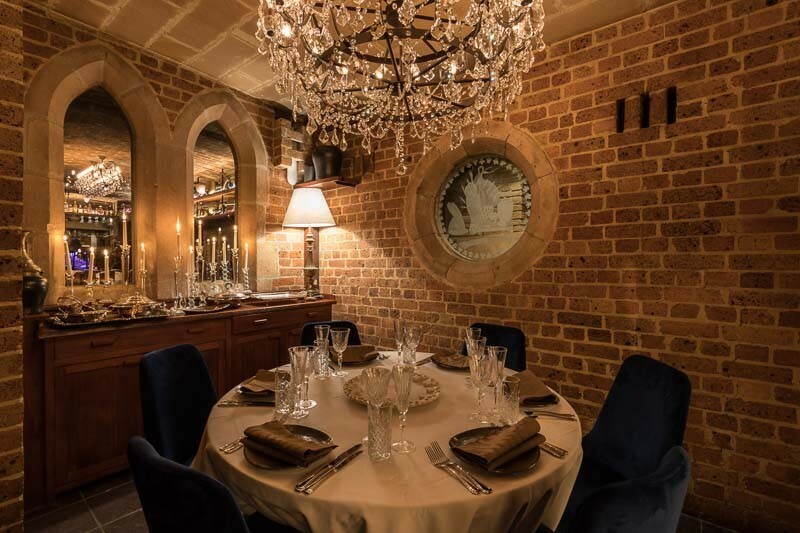 Drinks can be enjoyed in one of the soft leather couches or in the private dining room tucked around a corner. Pair it with a few bites from the bar menu where thankfully there is not a salty peanut in sight. Amongst the bar snacks are Holi Pappadam’s – colourful homemade poppadum’s with salmon mousse ($9.90) and Tikka Chicken Bites – earth fired mini tandoori skewers with mint raita ($14). 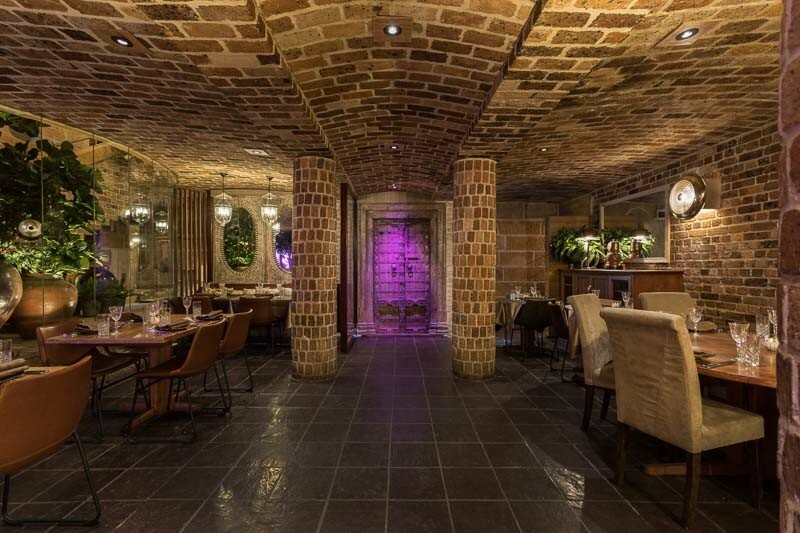 It is not just the food and drink that dazzle at Bhoomi, the venue being one of the most unique we have seen in Sydney. 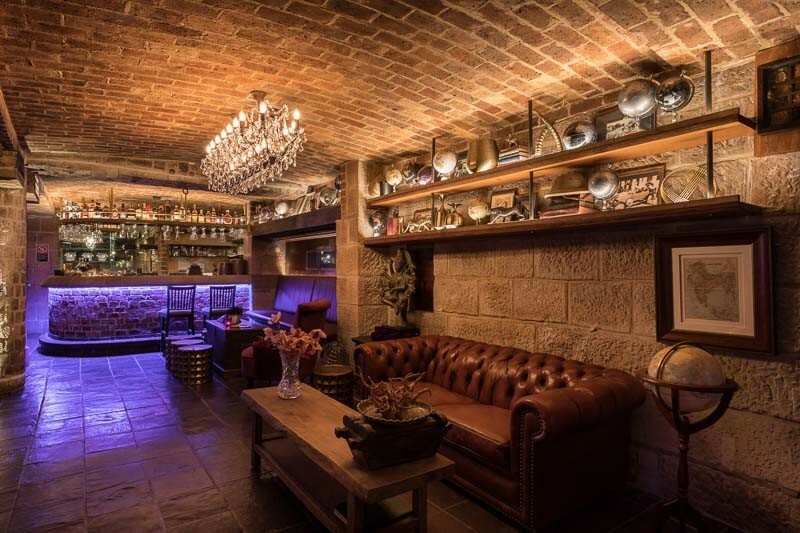 You’re more likely to frequent a rooftop bar then to enter what feels like an underground cavern, the low ceilings lit with vintage chandeliers gives the impression of a glamorous yet cosy grotto. 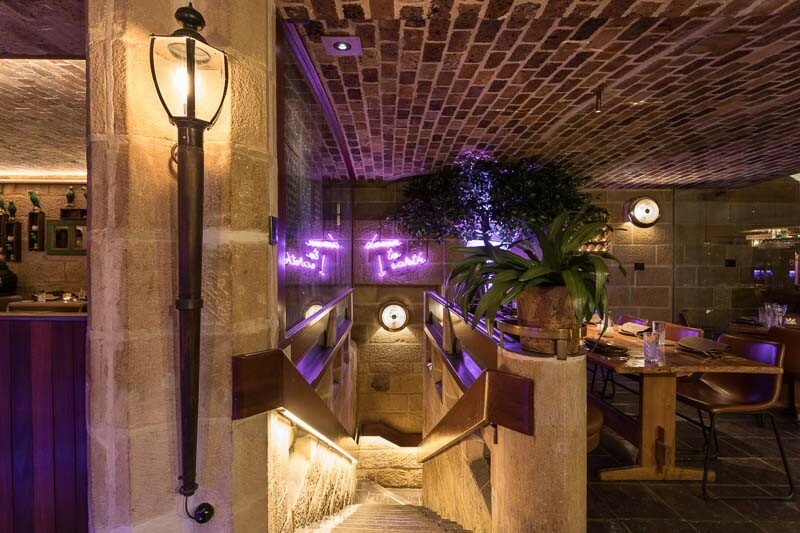 Neon-lit stairs lead you down even deeper into another quirky cavern, this one dedicated to all manners of large dinners and intimate parties. A 7-meter long table stretches through the middle of the room, which can comfortably seat up to 24 guests. Indrani say’s she can picture all types of celebrations in this space from engagement parties, Christmas parties and even weddings. With a license to accommodate 220 guests it is certainly a possibility. If you’re looking for an events space that has a little more star power with a menu to match then Bhoomi should be at the top of your list. A Loft Story is at once a hair salon, creative hub, concert venue and indoor jungle. The best part? You can bring your dog! 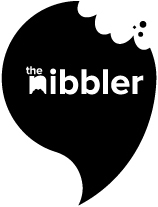 For this week’s Featured Venue, The Nibbler takes a hop skip and a 5-hour flight across the Timor Sea to one of Australia’s most popular holiday destinations. Opening this week, the Calile Hotel is Australia’s first urbane resort. And, just quietly, the most aesthetically pleasing hotel we have seen in a long while.